This review breaks down two professional DSLRs—the Nikon D850 vs Nikon D5. The price disparity between these cameras is vast. Still, price alone can’t determine which is better—for YOU. The costlier D5 may not be your best choice even if you have the budget. Or perhaps it’s exactly what you’re looking for? Keep reading to discover the real differences between these two Nikon favorites. My honest review puts the Nikon D850 and Nikon D5 in a head-to-head comparison. The things that set them apart will make much better sense by the end of this page. This informative guide uses the following straightforward format. 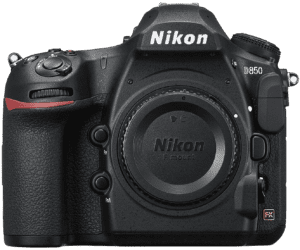 Why Consider the Nikon D850 over the Nikon D5? 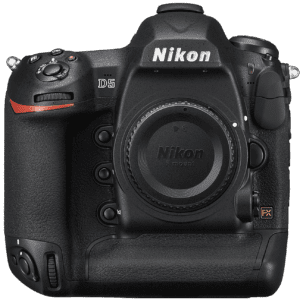 Why Consider the Nikon D5 over the Nikon D850? Many features unite these two beautiful, pro-grade DSLRs. Cameras at this level must be able to shoot in a variety of tough conditions. That’s why they both have environmental sealing. Their illuminated control buttons are invaluable when working in the dark. Both DSLRs also have an extra storage slot. Image storage is something we can never have too much of. Nikon’s D850 and D5 each have optical viewfinders (OV). Optical viewfinders present clear images that make framing easier, especially in brighter environments. The 3-inch high-resolution LCD touchscreens allow for easy control of the camera’s primary functions. They feel natural too. After all, we live in a world where touchscreen interaction has become routine. Both cameras sport top-mounted LCD panels as well. Top LCDs are handy when shooting with a travel tripod at waist height. Likewise, they’re ideally placed for a quick view of the camera’s settings. Top LCDs offer a more comfortable view for short-sighted photographers. And night photography benefits as top LCDs are dimmer than rear panels. That means a lesser effect on one’s vision. External fixtures are impressive too. There’s a flash sync port as well as a flash hot shoe. These provide superior on and off-camera illumination than the harsher light of built-in flash units. Videographers and professional vloggers benefit from the camera’s mic and headphone ports. These ports combined support higher quality audio recording and better video control. Professional photographers are sticklers when it comes to image detail. That’s why RAW file support is a standard feature on both cameras. And portrait photographers welcome the Face Detection Focus. Creative users are sure to welcome the extreme high-quality time-lapse recording. Photographers also appreciate the cameras AE Bracketing when shooting in challenging light conditions. 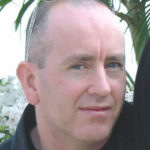 The final shared advantage is the AF Micro Adjustment or AFMA for short. There are occasions when lenses don’t give perfect focus. AFMA allows you to fine-tune the focus in these situations. You may wonder why there’s a big price difference with so many commonly shared strengths. Keep reading to find out. Each of these Nikon cameras boasts a range of individual standout features. There are distinct differences in the body types of the Nikon D850 and Nikon D5. It’s clear that the D850 is the smaller one of the two cameras from the front view (though certainly not a handheld shooter). The D850’s body is narrower by 14mm. It’s also shorter by 35mm and about 13mm thinner than the D5. These dimensions are something for women and men with smaller hands to consider. Weight is always a consideration for professional photographers. The heft of a camera is more of an issue for those who carry the equipment around their neck for long periods. That includes lenses. Nikon D5 Width: 6.3” Height: 6.3” Depth: 3.6” Weight: 49.9 oz. The size and weight comparisons above are for the camera bodies only. The actual weight of a camera also includes the lens mounted at any given time. These models use the Nikon F Mount. Both cameras have a similar layout. They also have comparable physical control options despite the slight design differences. Dust and splash-proofing is another shared feature. Each camera has its ISO button in the same place at the top right, and the joysticks are located at the rear. What the D850 doesn’t have that the D5 does is a built-in grip. Nikon D850 arrived in July 2017. It’s a popular camera that exceeds the expectations of most who own one. It’s a DSLR that appeals to a broad range of enthusiasts and professionals alike. Connectivity options for the D850 are impressive. There’s the built-in wireless (WiFi), for one. The D5 can support WiFi, but it’s an optional extra, and a costly one at that. The D850 also has smartphone remote control, Bluetooth, and NFC Connection. The D5 doesn’t come with any of these connectivity options out of the box. Max sensor resolution for the D850 is 46MP to the D5’s 21MP. That equates to 119% extra pixels. The 46 megapixels gives the D850 a significant edge when it comes to blowing up prints and cropping. Another key feature that goes to the D850 is its fully-articulating LCD touchscreen. Having the option to shoot at more flexible angles is no small detail. At 1015g, the D850’s body weighs 400g less than the D5’s 1415g. That’s about the same as four or five average sized apples. A D850 can also support high-speed UHS-II memory cards. Focus Bracketing—also called focus stacking—is another feature the D850 has that the D5 lacks. Sometimes it’s handy to have the option to take multiple shots while shifting focal points. Artistic types are sure to value the camera’s 8K resolution time-lapse video mode. Other areas where the D850 shines are its higher color depth: 26.4 vs. 25.1, and higher dynamic range: 14.8 vs. 12.3. And finally, there’s the D850’s better high ISO performance of 2660 to the D5’s 2434. Nikon launched its full frame D5 Digital-SLR in January 2016 as a successor to the Nikon D4S. It has a plethora of innovative features to meet the demands of those who insist on nothing but the best. The Nikon D5 has the potential to shoot at crazy high ISOs. Its native ISO is up to 102,400 with an expanded ISO of 3.28 million. These numbers give the D5 a 300% higher max ISO than the D850. How does a super-fast 14.0 frames per second (fps) sound? You can shoot 14fps with auto exposure (AE), fixed focus, and the mirror up. The D5’s continuous shooting mode is 7fps faster than the D850. Another significant advantage of the D5 is its long battery life. Users can expect as many as 1,940 more frames on a single charge. That’s 3,780 shots for the D5 and only 1,840 shots for the D850. A shutter’s life expectancy is something to think about with pro-level cameras. The D5 boasts 400,000 cycles before its shutter mechanism needs replacing. The D850 lasts for around 200,000 cycles. The D5 can extract 8MP photographs from 4K video with its 4K Photo Mode. The D850 doesn’t have this ability. And the final advantage the D5 has over the D850 is its 118% larger sensor pixel area. Both the D850 and D5 have on and off-camera flash capability, and that’s great. But neither model has a built-in flash. It’s true that semi-pro and pro photographers avoid popup flash whenever possible. Yes, flash shoes and flash sync ports provide better lighting solutions. But there can be times when you need to shoot in failing light with no time to prepare. That’s when built-in flashes come in handy. Neither of these cameras has sensor-based image stabilization (IS). Image stabilization is in demand at any level. It’s vital at the pro level where photographers shoot for money. The good news is that Nikon provides a family of D5 and D850 lenses that have optical stabilization or OS. There are currently around 88 Nikon lenses for the F mount with OS. The bad news is that optically-stabilized lenses cost more than the non-OS alternatives. It’s hard to find shared gripes for either of these cameras. User feedback for the Nikon D850 is as near perfect as it can get for a DSLR in its class. But then no one buys cameras blind at the pro level. Image quality for the D850 gets a lot of positive mention, especially sharpness. Users write of their satisfaction with the ultra-fast autofocus (AF). They also love the intuitive tiltable touchscreen. The layout and access to the physical controls is another thumbs-up for the Nikon D850. And the Live View function and high-46MP resolution sensor blow most owners away. A few reviewers complain that there’s no GPS. And not everyone is a big fan of the rolling shutter. There are also some complaints about the battery-draining Snapbridge image transfer service. Overall, though, anyone who buys a camera based on positive reviews is sure to snap up the D850. The D5 has less feedback than the D850 because of its niche market. Those who do own one are delighted with their purchase. These are mostly professional photographers who can justify the cost. People love the D5 for its fast focus and incredible high ISO low light performance. The camera’s file size is big enough for impressive results, yet small enough to shoot and store lots of footage. Owners of the D5 appreciate the weather sealing and its ability to shoot quietly in Live View mode. Sports and action photographers have plenty to praise, especially the camera’s insane autofocus. Most agree that it’s a versatile, user-friendly, and enjoyable camera to use. Some say an articulating screen and a little less heft would have been welcome, but they still love their D5. The major setback for the Nikon D5 is its massive price tag of course (decidedly NOT a budget DSLR). Heck, it’s almost double that of a Nikon D850. But then, those who view this camera as a tool of the trade consider it excellent value. Nikon’s D850 is an exceptional choice for new professionals who can’t justify the Nikon D5 price tag. It’s also perfect for prosumers, enthusiastic hobbyists & entry-level shooters who are serious about their photography. Consider the D850 for nature, landscapes, and studio portraiture. The 46MP lets you crop and blow up photos with superb detail. You can even dumb-down the RAW files size if you need smaller images. Nikon’s D5 is a phenomenal tool for professionals. It’s a feature-rich, rugged workhorse with flawless reliability. The D5 is also faster, has smaller files, and better low-light quality than the Nikon D850. I am not a pro. I presently own the 850. When shooting, I would prefer to have two full frame bodies with me. Would I be better off purchasing a second 850 or a D5? ?